This wonderful tree is something of an icon although it is mostly photographed with a short lens from close to a stream that sidles by the skeleton of the tree. 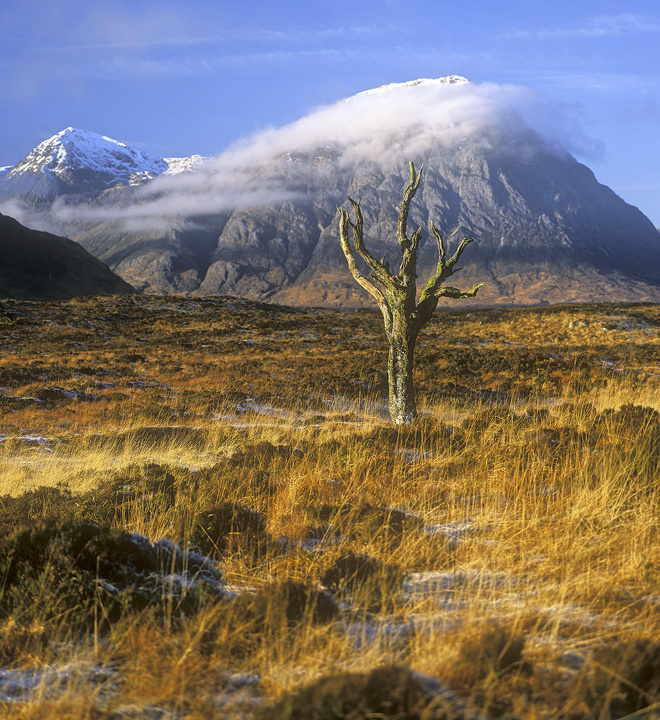 In the background is the mighty Buachaille etive mor which is itself one of Scotlands icons. I particularly enjoy photographing this area during a sharp frost and with strong side lighting but in this case I chose a shallow depth of field to emphasise the tree over and above the other elements in the frame.